Earlier this week, I told you about lycopene's amazing ability to lower blood pressure. 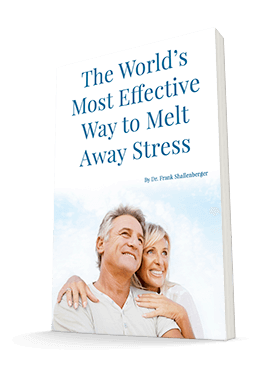 It's so effective it can drop your pressure by as much as 15% in just a few weeks. Well, the news about this amazing nutrient (commonly found in tomatoes) keeps getting better and better. A Japanese research team has just discovered that tomato juice can protect you from developing emphysema. Scientists studied a line of mice that age very quickly. The mice then were divided into two different groups. Both groups were exposed to tobacco smoke for 30 minutes daily, five days a week for eight weeks. The researchers gave the control group pure water to drink. They gave the second group a mixture of 50% pure water and 50% tomato juice. At the end of the eight weeks, ALL of the mice in the control group developed emphysema. But NONE of the mice in the second group developed the lung disease. According to the researchers, "Lycopene, given as tomato juice, completely prevented the smoke-induced emphysema." In other words, the tomato juice had a 100% success rate in preventing emphysema in mice exposed to smoke. That's incredible! But how is it possible? Smoke increased apoptosis (cell death) in the lining of the air sacs of the exposed mice. It also reduced the amount of VEFG in their lungs. VEGF is a necessary growth factor for new blood vessels. The researchers found that "tomato juice ingestion significantly reduced apoptosis and increased tissue VEGF level." The researchers didn't mention whether lycopene also prevents the form of emphysema that's caused by genetics. But I suspect it may. Even if emphysema is in your genes, environmental inhalants could still play a role in accelerating the process. Tomatoes should slow that process. This study is clear evidence that plant nutrients can protect you from emphysema. I'm not sure if we would see the same 100% success rate in humans. But the implications are huge. If you have regular exposure to tobacco smoke (first or second hand) or have a genetic predisposition to emphysema, you can protect yourself. You just have to increase your intake of natural tomato products!You don't have to pay for anything but the food! Typically, I prefer raw vegetables to cooked. But, in the case of tomatoes, cooking releases lycopene for better absorption. And the Lyc-O-Mato product I told you about a few days ago is a great way to get addition lycopene to fight emphysema. It will even help you fight cancer, heart disease, and high blood pressure. Lyc-O-Mato is available in most health food stores. One final note: If you do smoke or already have smoking-related emphysema, please be sure to take at least 3,000 mg daily of vitamin C. Vitamin C is destroyed by inhaling tobacco smoke and is critical in protecting your lung cells. Ref: American Journal of Physiology-Lung Cellular and Molecular Physiology, February 2006.